OK, it’s Friday, we’re all tired and in need of a pick-me-up. What better to lift our spirits than a round-up of the assorted cute fluffy friends who have played crucial roles in academia? From a co-authoring cat to a terrier journal editor – let’s go! 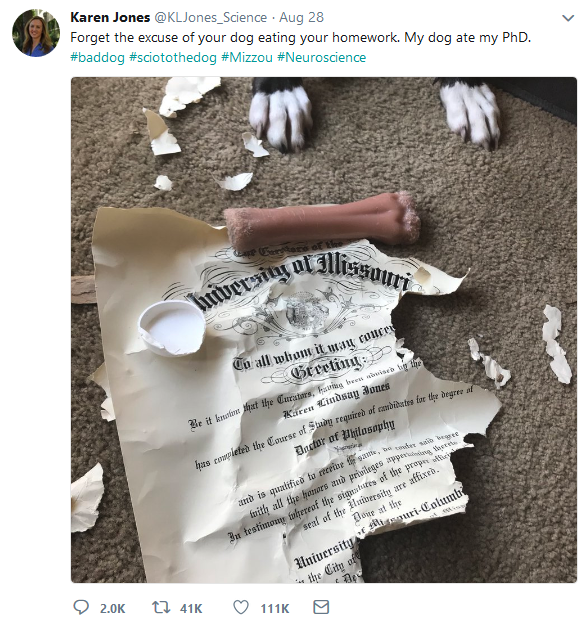 Scioto, a lab labrador (apparently it’s a thing), has been demoted from ‘good boy’ status since he made a meal of his human Dr. Karen Jones’ PhD in interdisciplinary neuroscience. Poor Dr. Jones came home to find Scioto wiggling happily, apparently proud of the achievement of ruining his human’s achievement. Luckily, the destroyed version had contained an error, and Dr. Jones had already received a corrected official diploma from the university before Scioto went to work. Still, Twitter had a field day with the puns (including renaming the doctorate the ‘dog tore it’). 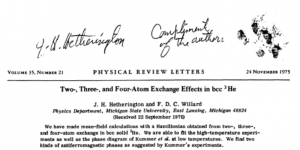 Chester the cat had a sweet life living with Professor Jack H. Hetherington, a physicist at Michigan State University. But, unsatisfied with the life of a domestic cat, Chester decided to co-author with his human. OK, maybe not. But Prof. Hetherington wanted to use the royal ‘we’ instead of what he considered the inelegant ‘I’ in his papers, and so he needed a co-author to make the pronoun fit. Chester was up to the challenge. With a quick re-branding, Chester became Felix Domesticus Chester Willard (Willard having been his father’s name). F.D.C. Willard, for short, appeared as a co-author on a highly cited 1975 paper in the prestigious journal Physical Review Letters. The ruse was quickly uncovered, and everyone had a good laugh. Chester enjoyed a life of academic celebrity, even ‘signing’ copies of the article with his paw print. 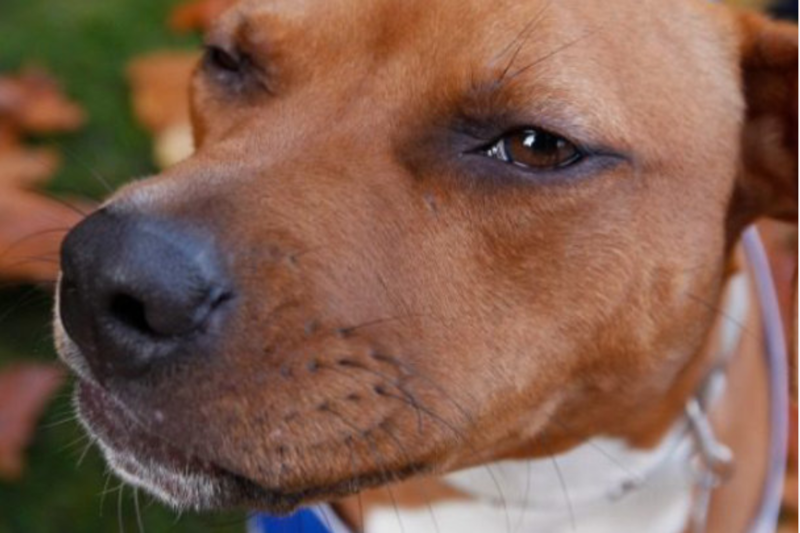 Dr. Olivia Doll is a Staffordshire terrier, journal reviewer, and hero for our times. Her human Mike Daube, a Perth-based public health expert, had suspicions about some journals he thought might be predatory publishers. Daube sent the CV out to several journals he suspected of being less than legitimate, and sure enough, Ollie is now on the editorial board of no less than seven predatory journals. Here’s hoping her diligent review work is appropriately compensated with plenty of treats and chew toys. Lisio was not at all content to let Polish academic Dr. Jerzy Targalski hog the spotlight. In a recent televised interview, Lisio jumped on his shoulders as he discussed the removal of a Polish Supreme Court judge. Lisio tried to express an opinion on the matter with complex movements of the tail, but like a true academic, Dr. Targalski kept on going.